I know that these came out two months ago and I actually found some on clearance at my local Ulta, but I do enjoy posting press releases for collections if nothing else, for my own research purposes. I ended up buying Which Is Witch which to me is like Save Me and Servin' Up Sparkle had a baby. Additionally, there was some outcry that When Monkeys Fly had curling "taco" glitter, where the large reflective gold disc glitter would not lay with the nail and instead stuck up, allowing for peeling of the polish. 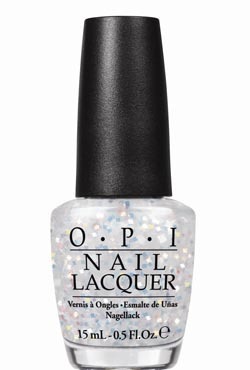 OPI said on their Facebook that they would replace certain batch numbered bottles for replacement bottles. Please read this Facebook posting for more details. And now, for the press release! 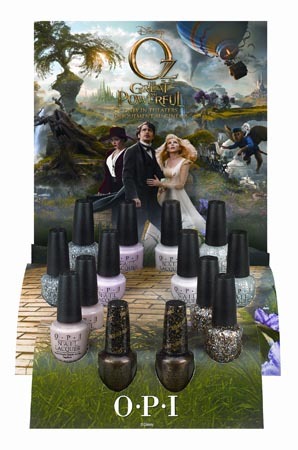 As with all OPI nail lacquers, the shades inspired by Oz The Great and Powerful contain no DBP, Toluene, or Formaldehyde, and feature OPI’s exclusive ProWide™ Brush for the ultimate in application. This limited edition promotion will be available beginning March 2013 at Professional Salons, including Beauty Brands, Beauty First, Chatters, Dillard’s, jcp Salons, Pure Beauty, Regis, Trade Secret, and ULTA, for $9.00 ($10.95 CAN) suggested retail for each nail lacquer. For more information, please call 800-341-9999 or visit www.opi.com. ABOUT OPI As the world leader in the professional nail care industry, OPI is committed to providing high-quality products and services to both salons and their customers, along with a focus on industry safety and innovation. Known for its exceptional formula, fashionable colors and iconic names, OPI’s heavily-pigmented lacquers are super rich, long-lasting and chip-resistant – offering an affordable luxury to consumers. 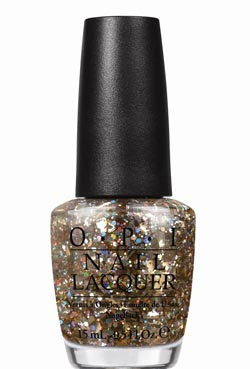 OPI nail lacquer is available in over 200 shades and contains no DBP, Toluene, or Formaldehyde. 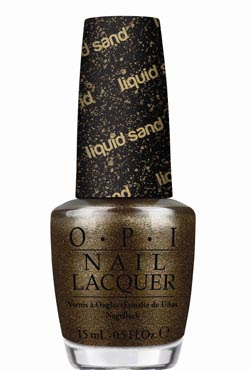 Each lacquer features OPI’s exclusive ProWide™ Brush for the ultimate in application. Currently, OPI is available in over 100 countries and retails a full line of professional items, including nail treatments, finishing products, lotions, manicure/pedicure products, files, tools, gels and acrylics. ABOUT Oz The Great and Powerful Disney’s fantastical adventure “Oz The Great and Powerful,” directed by Sam Raimi, imagines the origins of L. Frank Baum’s beloved wizard character. When Oscar Diggs (James Franco), a small-time circus magician with dubious ethics, is hurled away from dusty Kansas to the vibrant Land of Oz, he thinks he’s hit the jackpot—fame and fortune are his for the taking—that is until he meets three witches, Theodora (Mila Kunis), Evanora (Rachel Weisz) and Glinda (Michelle Williams), who are not convinced he is the great wizard everyone’s been expecting. Reluctantly drawn into the epic problems facing the Land of Oz and its inhabitants, Oscar must find out who is good and who is evil before it is too late. Putting his magical arts to use through illusion, ingenuity—and even a bit of wizardry—Oscar transforms himself not only into the great wizard but into a better man as well. “Oz The Great and Powerful” is produced by Joe Roth, with screen story by Mitchell Kapner and screenplay by Mitchell Kapner and David Lindsay-Abaire. Grant Curtis, Palak Patel, Philip Steuer and Josh Donen are serving as executive producers. “Oz The Great and Powerful” opens in U.S. theaters on March 8, 2013. WOW. You guys really went all out. How did the little one like it? :) Happy New Year to you all!